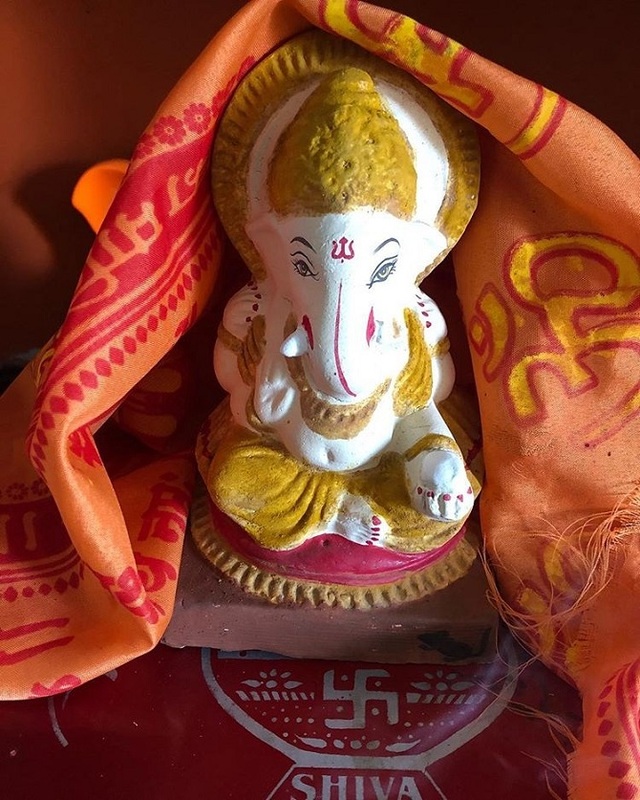 Film folk have welcomed Lord Ganesha with much festivity and fanfare. 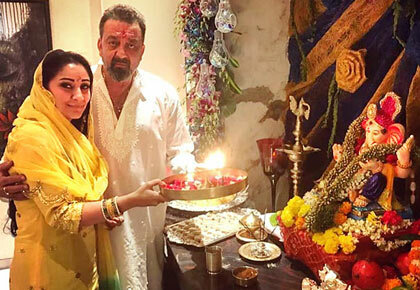 Sanjay Dutt and wife Maanyata perform aarti. 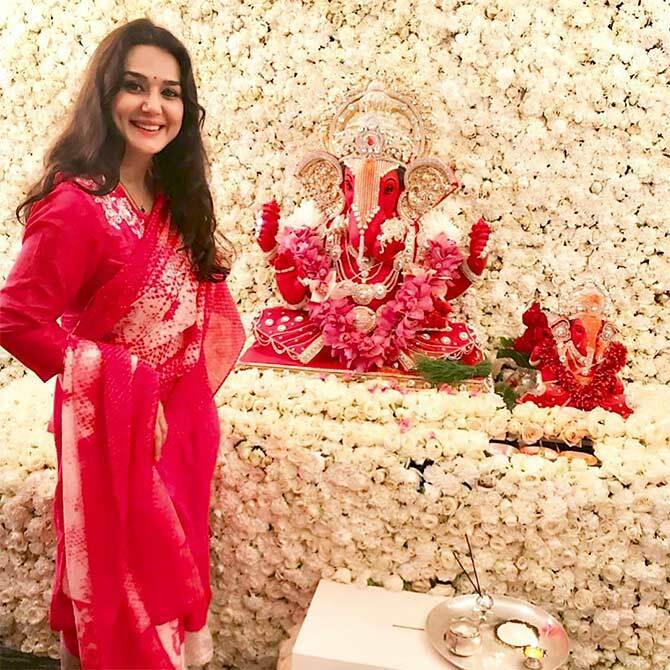 Preity Zinta wears a matching red. 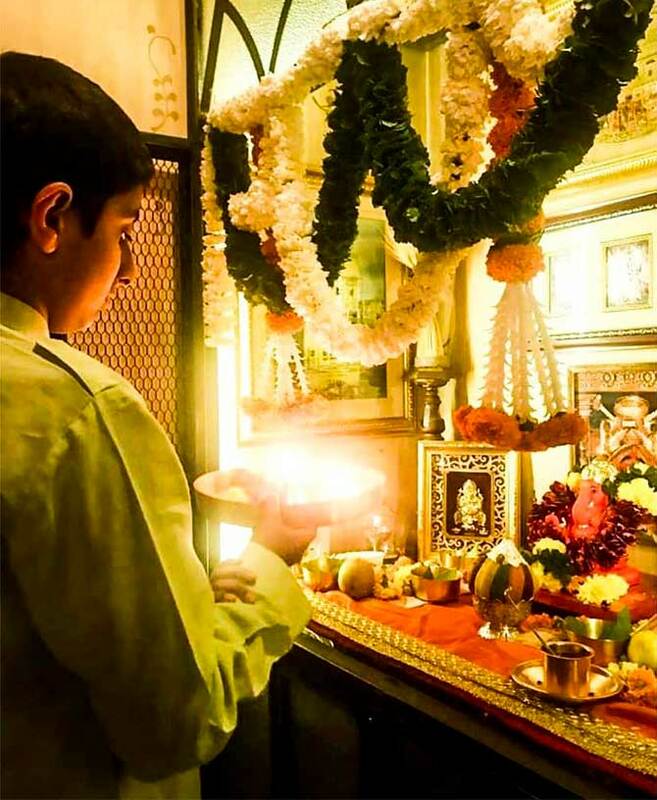 Sonali Bendre misses the Ganpati celebrations at home as she is undergoing cancer treatment in New York. 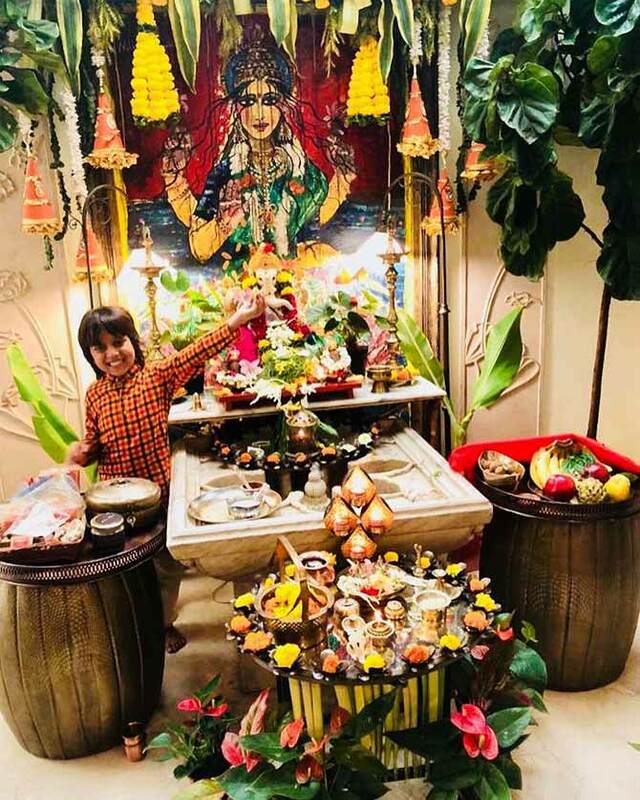 But her son Ranveer makes up for her absence. 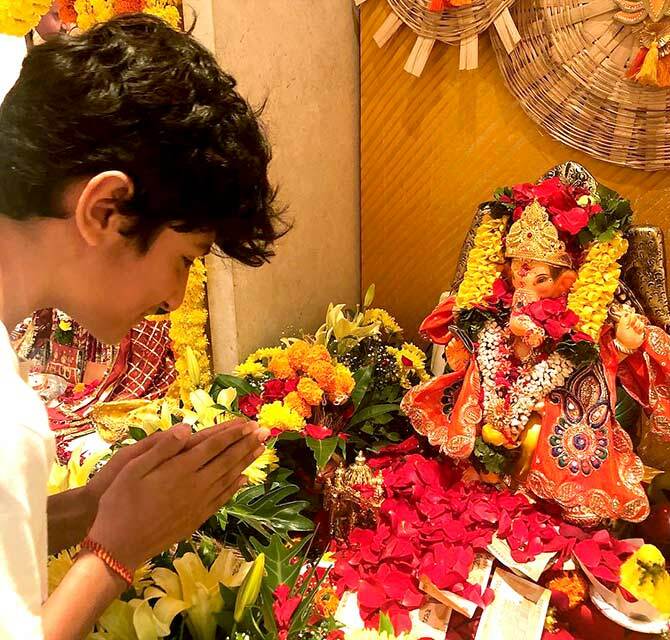 Sanjay Kapoor's wife Maheep posts a picture of their son, Jahaan, with their Ganpati. 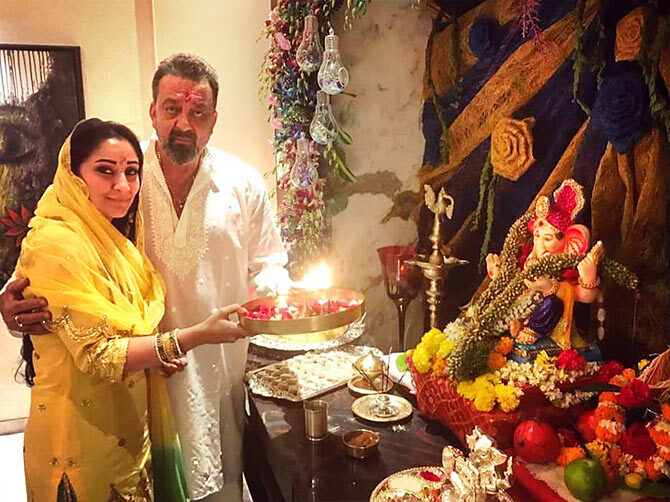 Shweta Tiwari with her Ganpati. 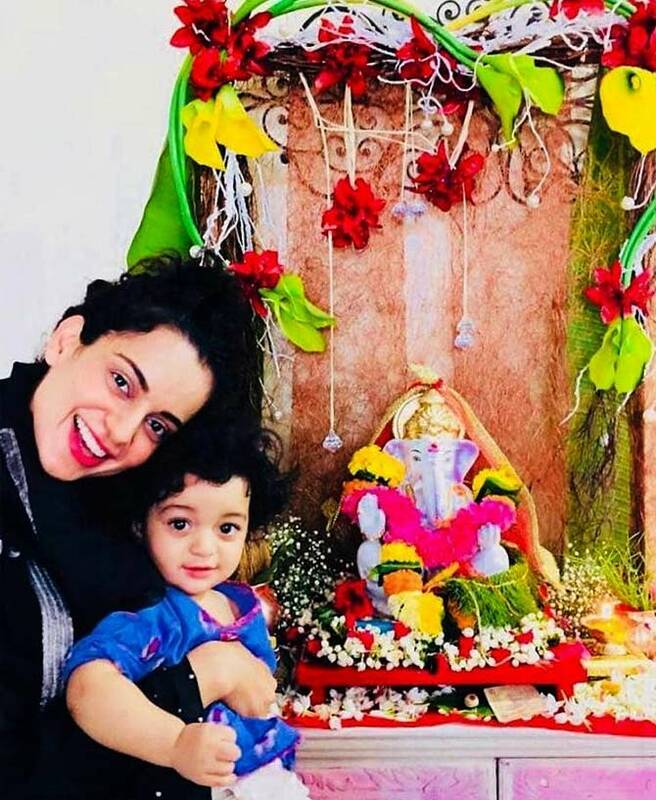 Kangana Ranaut takes a break from the shoot of her film, Manikarnika: The Queen Of Jhansi, and spends the festive holiday with nephew Prithviraj. 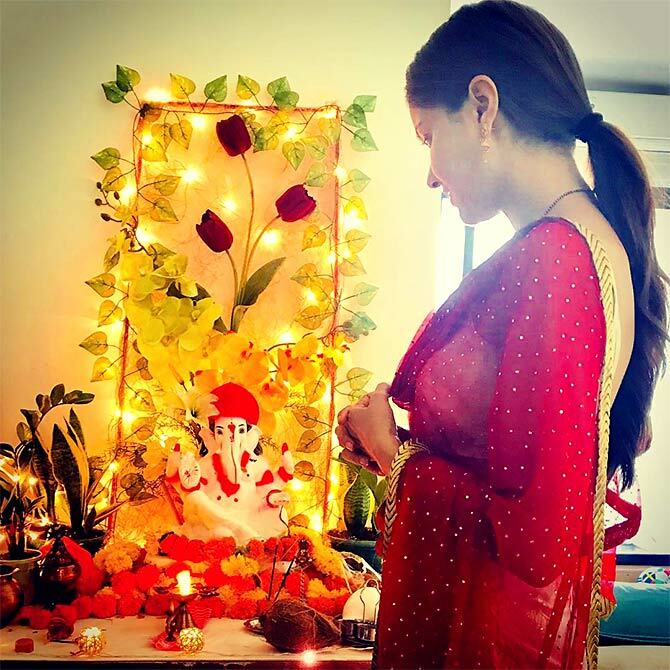 Television actress Rubina Dilaik makes a special prayer. 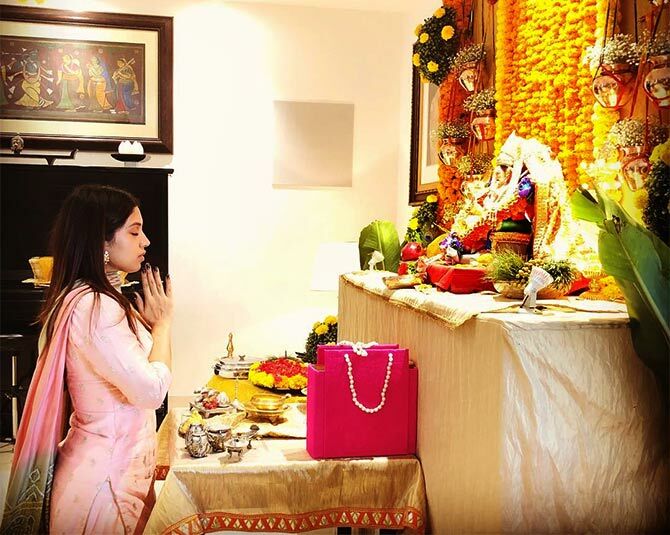 What is Bhumi Pednekar praying for? 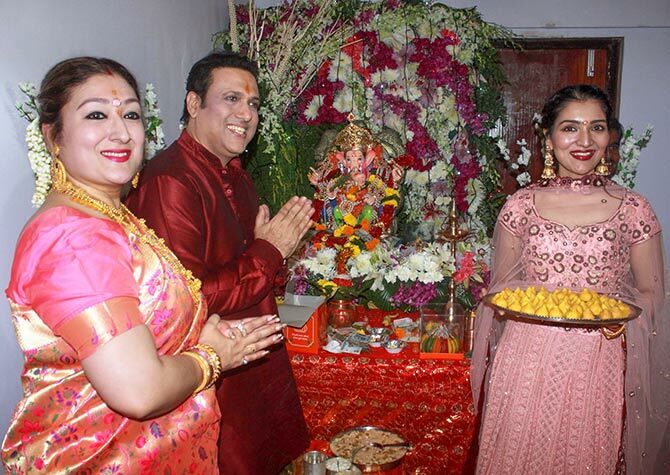 Govinda, his wife Sunita and daughter Tina welcome the media at their home. 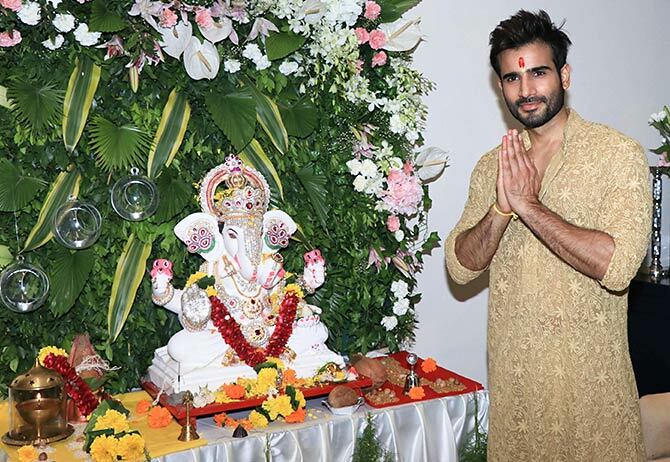 Karan Tacker offers his prayers. 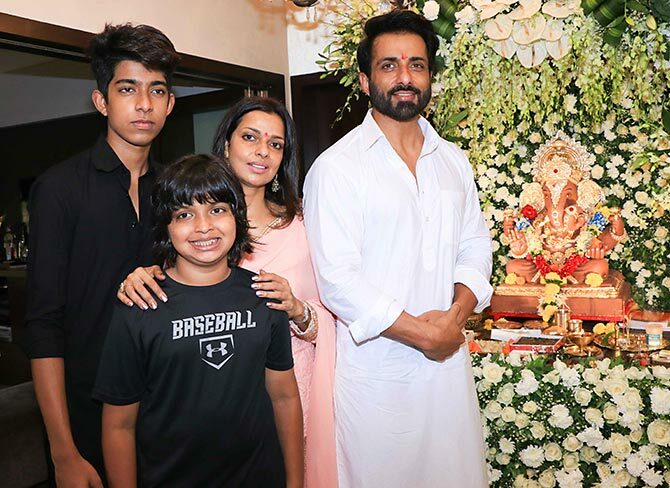 Sonu Sood with wife Sonali and sons, Ishant and Ayaan. 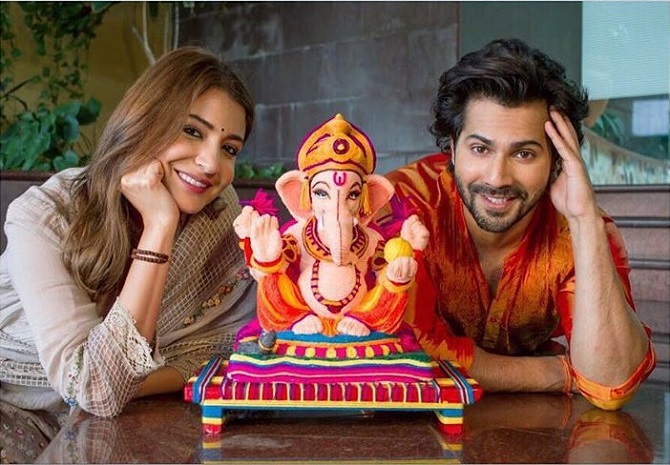 Anushka Sharma and Varun Dhawan promote their new film Sui Dhaaga with an eco-friendly Ganpati. 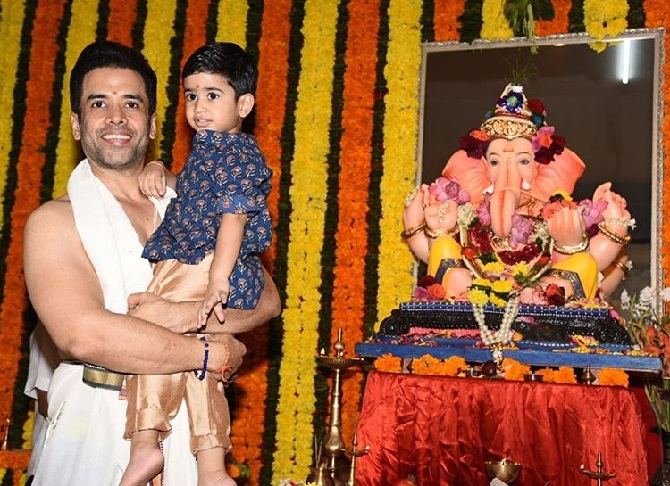 Tusshar Kapoor celebrates with his son Laksshya. 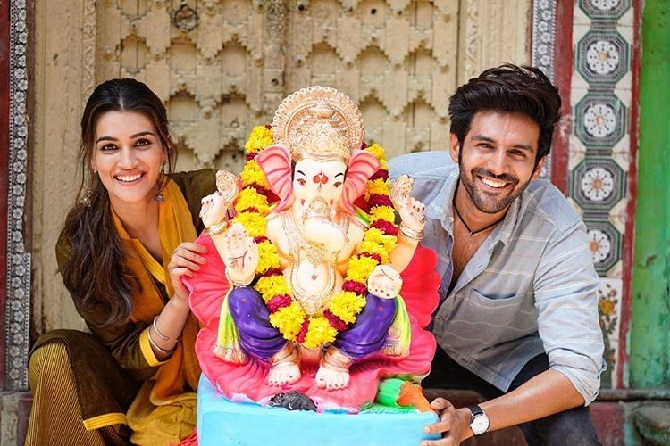 Kriti Sanon celebrates Ganpati with Kartik Aaryan on the sets of Luka Chuppi in Mathura. 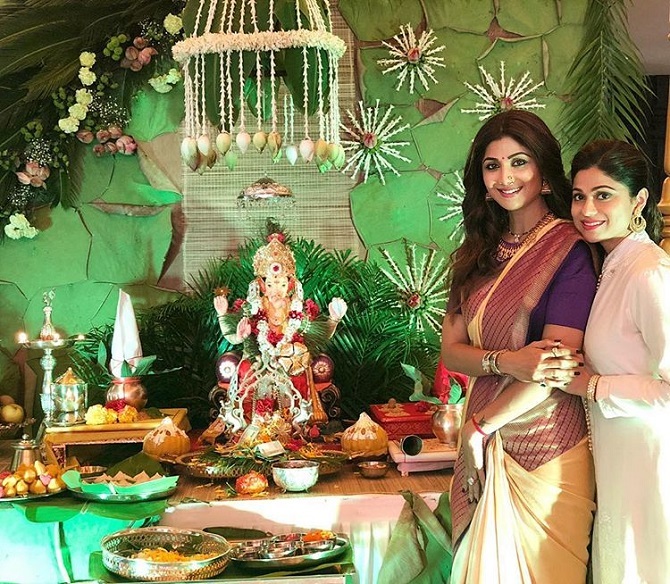 The Shetty sisters -- Shilpa and Shamita -- with the Lord. 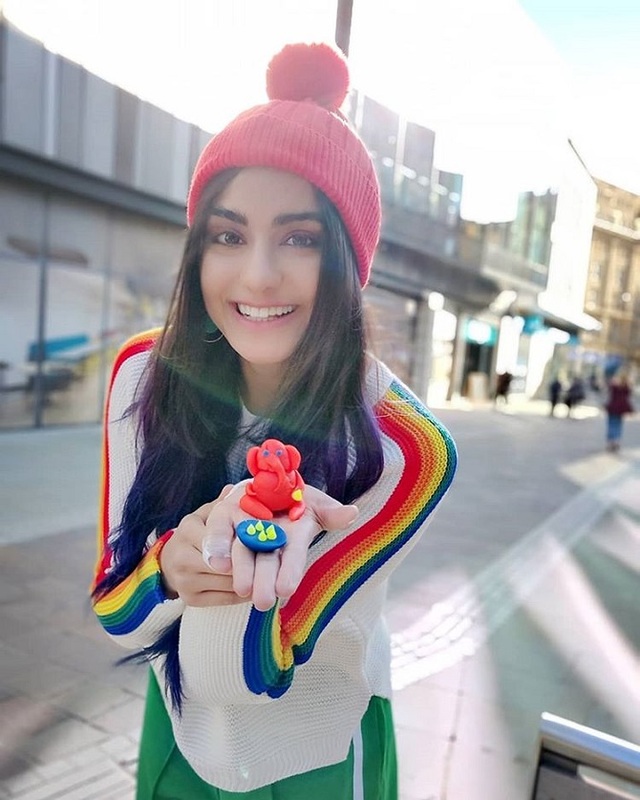 Adah Sharma with her handmade eco-friendly Ganesha, made from clay dough. 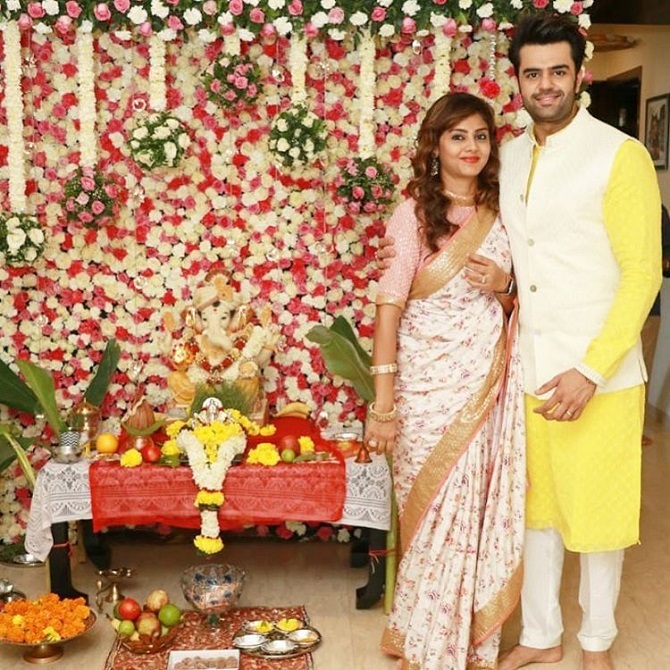 Maneish Paul and his wife Sanyukta bring Lord Ganesha home.